Mithila Hotel i San Francisco, USA : Boka nu! 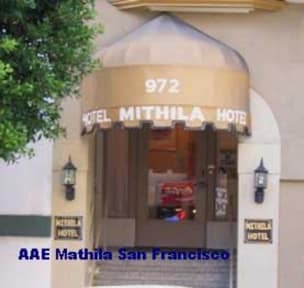 The Mithila Hotel is a charming European-style hotel located in the heart of downtown San Francisco; offering beautiful guest rooms, warm gracious services and excellent value surrounded near major attractions. We provide modern amenities at affordable rates. The hotel is within walking distance of Union Square, Chinatown, theaters, evening entertainment and affordable restaurants. The hotel is nestled between Union Square & Nob Hill. 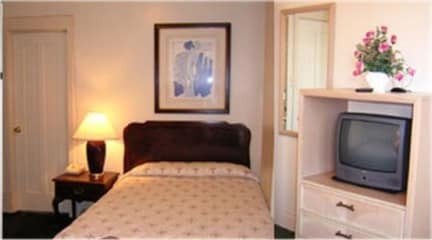 Therefore, you are a few blocks away from the main scene, however quiet enough where you can get a good night sleep. The hotel is situated in a nice safe neighborhood where there are other high-end hotels. The Mithila Hotel is able to accommodate the needs of the everyday business person or a traveler on a modest budget. All standard rooms come with its own private bathroom, newly refurbished and equipped with a color television, micro fridge, iron/board and a free wireless connection. There is a daily maid service every morning with complementary coffee.